John Harle is one of the most exciting contemporary musicians in Britain. As the leading saxophonist of his generation he has a world profile, both in the wealth of music his playing has inspired and in his own compositions. His performance of Harrison Birtwistle's Saxophone Concerto Panic at the Last Night of the Proms in 1995 propelled him onto an international stage - followed in 1996 by Terror and Magnificence, his Top Ten hit album on the Decca/Argo label, in collaboration with singer/songwriter Elvis Costello. His opera, Angel Magick, was commissioned by the BBC Proms in 1998. The librettist, David Pountney directed the production and the composer conducted the cast of eight singers, his own band, and the viol consort Fretwork. As a concert soloist his repertoire consists of the sixteen concerti written especially for him, as well as twenty-four further works for orchestra. His recital programmes (usually with the pianist/composer Richard Rodney Bennett) are drawn from some of the thirty-one chamber works dedicated to John and an immensely varied range of music from John Dowland through to Chick Corea and his own compositions. Important collaborations in concert, recording or film have been with Ute Lemper, Paul McCartney, Michael Nyman, Andy Sheppard and Elvis Costello; and with conductors Riccardo Chailly, Michael Tilson-Thomas, Andrew Davis, Neville Marriner, Elgar Howarth and Frans Welser-Möst. 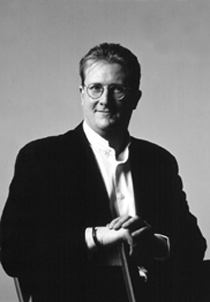 In 1989 John was appointed Professor of Saxophone and Chamber Music at the Guildhall School of Music and Drama in London and has been the mentor to a new generation of saxophonists. As performer, composer and producer his discography numbers some thirty-five recordings on labels including Decca, Argo, EMI Classics, Sony, Hyperion, BMG, Virgin and A&M. A CD of his own music Silencium was released on the Argo label in 1997. He recently produced Lesley Garrett's new album for BMG, I will wait for you and composed the music to the 16 part BBC Television series A History of Britain.